FOR MAXIMUM DETAIL, PLEASE LISTEN AT A HIGH VOLUME WITH HEADPHONES OR GOOD SPEAKERS. There are extreme low & high frequencies that are not audible on low quality speakers. 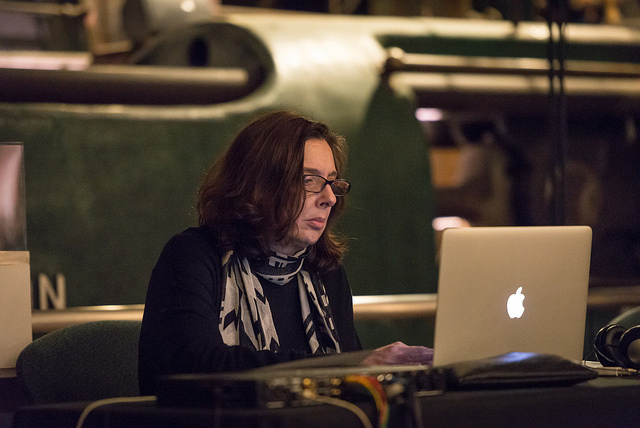 an improvised, immersive work for three acoustic instruments and electronics, composed by Katarina Miljkovic and performed by EMMA. ASCENT explores a gradual process of frequency modulation, from a sine wave to a complex sound. The sine wave begins below the threshold of hearing (heard only through the activation of its upper partials) and slowly evolves to a shattering, synesthetic landscape. The listener experiences a sound oscillation in slow motion, beginning with stasis, unfolding into an explosive sonic expansion, and returning to silence. 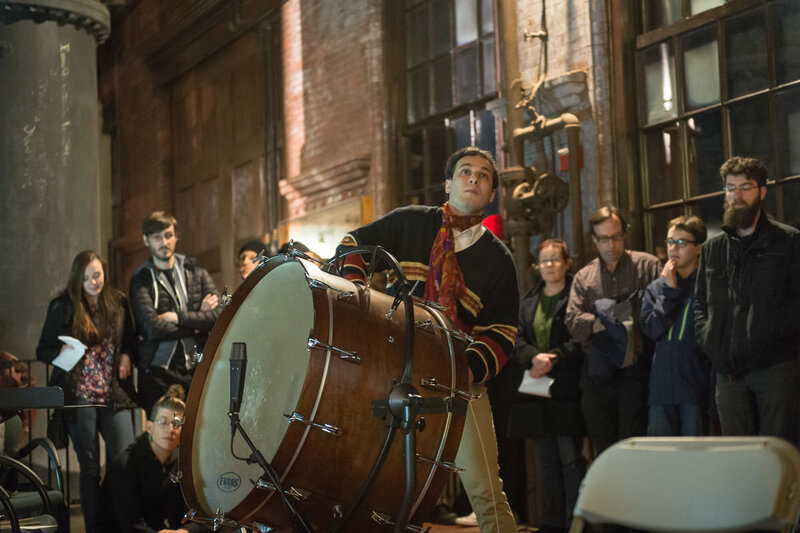 Each element of the piece is conceived based on a sound oscillation—from the musical material to the form. 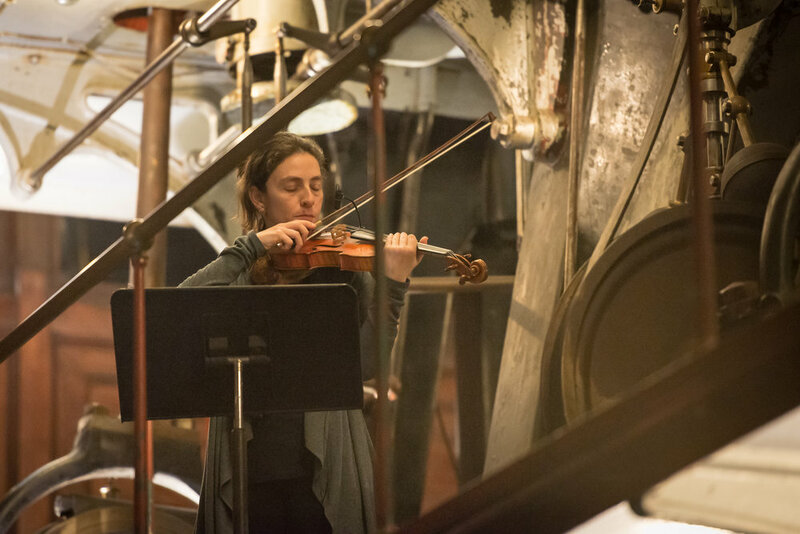 ASCENT premiered in 2018 at Waterworks Museum (Boston), presented by Non-Event.